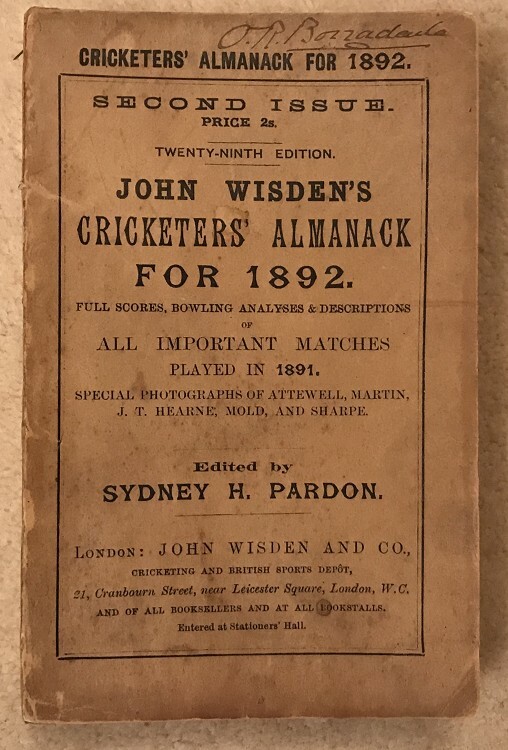 This lot is an Original 1892 Wisden Paperback with a facsimile spine (?) I put a ? as it is hard to see where the new spine has been placed, could it be an original with a blank spine, who knows but priced as if it were a later facsimile spine added to the book. It is tightly bound. This lot is in very good condition, nice covers with the odd mark and name to the top of the front cover. Internally superb, hardly a spot and a great photoplate too.